ISSN=1798-9272. September 2014, Appendix figure 1. 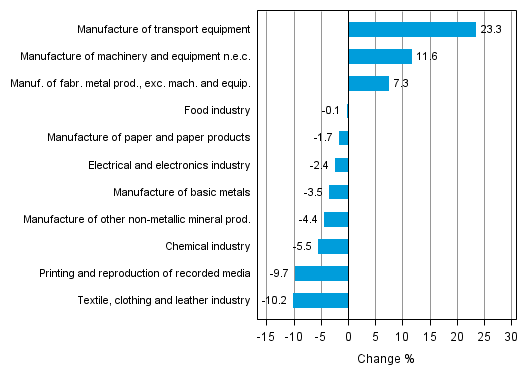 Working day adjusted change percentage of industrial output September 2013 /September 2014, TOL 2008 . Helsinki: Statistics Finland [referred: 24.4.2019].